What type of healing do we each need? 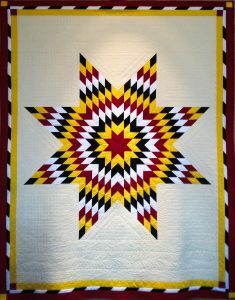 What faith-based skills & techniques will help us address truth and reconciliation? How does our faith teach us to be treaty people? How can our faith community respond to the TRC Calls to Action? at Congregation Etz Chayim, 123 Matheson Ave. East. • Shahina Siddiqui, Executive Director of Islamic Social Services Association. • Theodore Fontaine, Sagkeeng Elder, survivor of Fort Alexander & Assiniboia Residential Schools . at Manitoba Buddhist Temple, 39 Tecumseh St.
• Steve Heinrichs, Director, Indigenous-Settler Relations at Mennonite Church Canada. • Stan McKay, Cree Elder and former Moderator of the United Church of Canada. at Winnipeg Central Mosque, 715 Ellice Ave.
• Brian McLeod, Buddhist Lama in the Vajrayana and Theravadin traditions. • Adrian Jacobs, Cayuga Elder and Keeper of the Circle at Sandy Saulteaux Spiritual Centre. 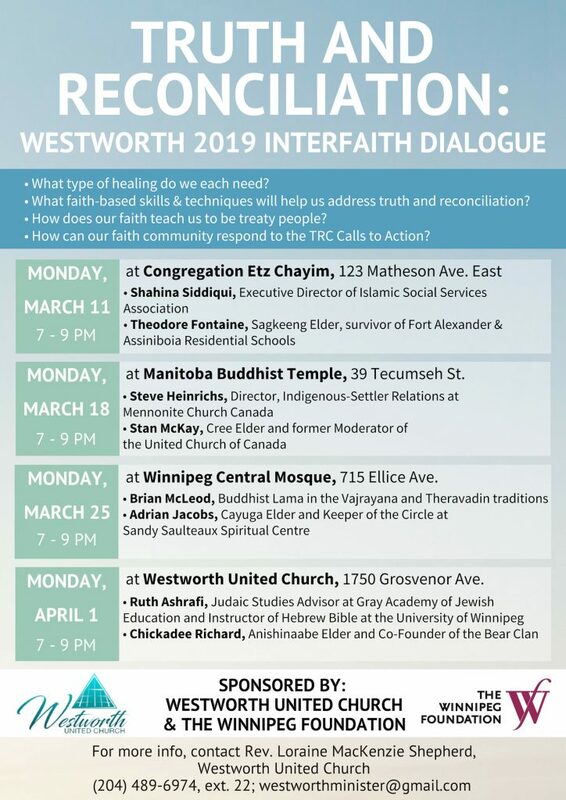 at Westworth United Church, 1750 Grosvenor Ave.
• Ruth Ashrafi, Judaic Studies Advisor at Gray Academy of Jewish Education and Instructor of Hebrew Bible at the University of Winnipeg. • Chickadee Richard, Anishinaabe Elder and Co-Founder of the Bear Clan. For more info, contact Rev. Loraine MacKenzie Shepherd, Westworth United Church (204) 489-6974, ext. 22; westworthminister@gmail.com. This event is supported by a grant from the Winnipeg Foundation Truth and Reconciliation Fund.